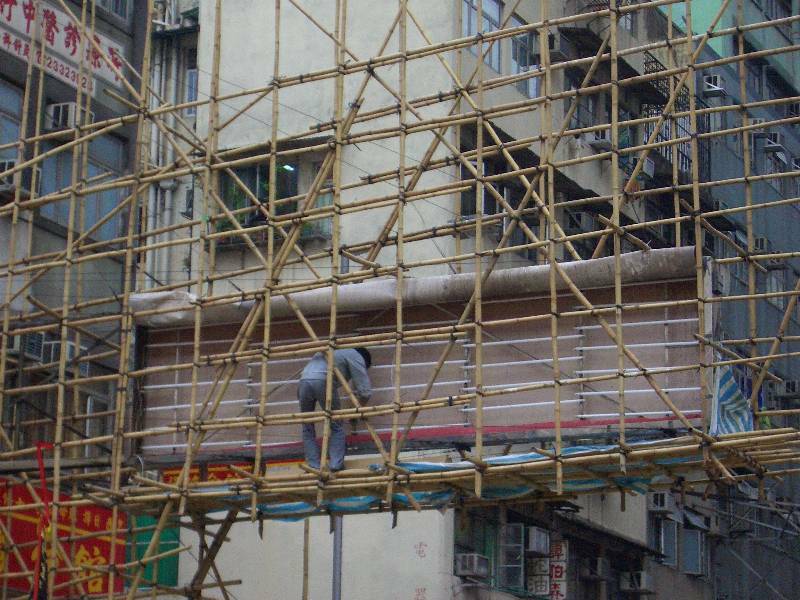 You can’t help but see it when you come to Hong Kong – the iconic bamboo scaffolding. It’s used at new construction sites as well as renovation projects on apartments and office buildings all across the city. Last week I watched from the ground as workers assembled some bamboo scaffolding on the top 3 floors of a 26-story office building in our area. In my college years I spent a couple of summers doing roofing, but nothing compared to what these workers dealt with. From my vantage point on the ground it looked pretty dangerous and fairly frightening. There’s no way you’d catch me up there on one of those scaffolds. And then just the other day, I discovered that some repair work was going to be done on the 23rd floor of our apartment complex – 2 floors up from where we live. I watched in amazement as a worker began the process of installing the support braces and then tying the bamboo scaffolding in place. I was both amazed and horrified – he was hanging from a rope ladder that had been securely fastened to 5” wide water pipes 240 feet up in the air – and slowly but surely completed the job with no apparent concern for the 240 foot drop below him. I wondered what would cause someone to take a risk like that as part of their everyday routine. He would only do it if he had supreme confidence in his equipment and had learned from prior experiences to trust in that rope or bamboo scaffolding. As I’ve reflected on this imagery, it occurred to me that oftentimes as Christ followers, we too are called to step out and enter into situations that may appear equally frightening. “Wow – I could never do that” is often our response to those who have stepped out in faith and followed God when/where He has asked them. But isn’t it the same as the construction worker? We follow God where He leads us, not because we are braver or holier than others, but rather because of what we have learned about Him and experienced in our walk with Him. He has proven to be faithful in our lives, and so we believe that He will again prove trustworthy as we take that next step of faith in serving and following Him. God might not ask you to go overseas, or step out on a bamboo scaffold 23 floors up, but He might ask you to do something that is beyond your present comfort zone. Where have you found God to be faithful in your life/past? You can continue to rely on His faithfulness for whatever He will be calling you to next. This past week has been a busy time for many people in China and here in Hong Kong. In addition to celebrating China’s National Day last Monday (October 1st), this past week was a time when many looked forward to a “Golden Week” of holidays. It’s a time where most of the people in Mainland China are given a full week off from work – one that was initially set up to allow people to travel back home to see family, or visit tourist sites around the country. 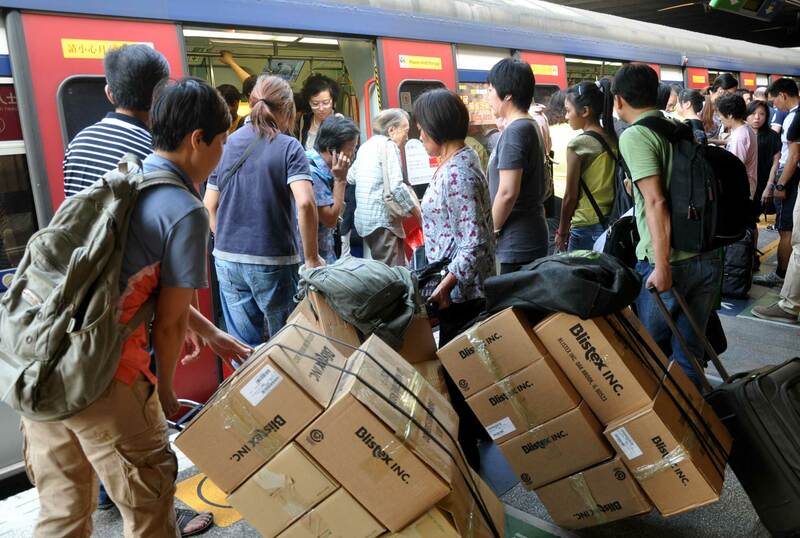 However, since the Golden Week holidays are one of the few times that many people in China will have the chance to travel – this week is usually a time of chaos and overcrowding. For those who traveled to any of the major tourist spots around the country it resulted in a lot of ‘grid lock’. Mainland China’s National Tourism Administration has already reported a 21% increase in the number of tourists at the top 119 scenic spots across China during Golden Week. 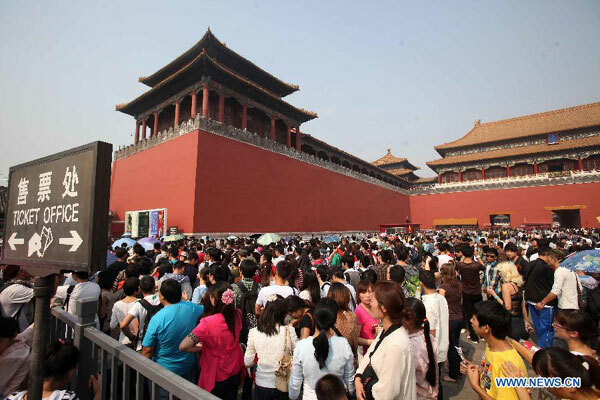 If you are a little bit claustrophobic, you probably wouldn’t have wanted to be anywhere near some of the major tourist sites including the Forbidden Palace in Beijing where 186,000 people visited on one day last week! But Golden Week is about more than travel and visiting scenic spots. For many it was also about the shopping as more and more Chinese used this Golden Week to spend some of their hard earned money. Many of those who came to Hong Kong this past week were more than willing to take advantage of a favorable exchange rate here as well as cheaper prices buying better quality goods. And those who came to Hong Kong for the shopping were taking back more than just the high priced luxury items they have focused on in the past – jewelry, designer clothes and electronics. Many were intent on buying items here in Hong Kong that they could resell quickly for profit back across the border – including such items as baby milk powder, diapers, cosmetics and toothpaste! The people of Hong Kong are trying to find a way to deal with these challenges, especially since the nearly 28 million tourists from Mainland China who visited Hong Kong in the past year have poured significant funds into the local economy. The flood of Mainland tourists and their newfound disposable income will continue to increase on both sides of the border, and we will all have to find ways to deal with this new phenomenon of a more affluent Mainland China.